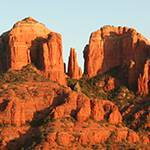 Arizona provides some of the best wildlife viewing opportunities in the nation, with more than 900 animal species and 50 million public acres of natural land to explore. 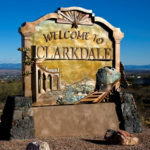 You are bound to witness some spectacular sights in Arizona’s varied landscapes if you know where and when to look, what to look for, and how to look for wildlife in any given habitat. 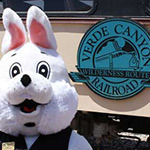 A ride aboard Verde Canyon Railroad, nestled between the Prescott and Coconino National Forests and adjacent to the Sycamore Wilderness area, provides the perfect wildlife viewing opportunity. 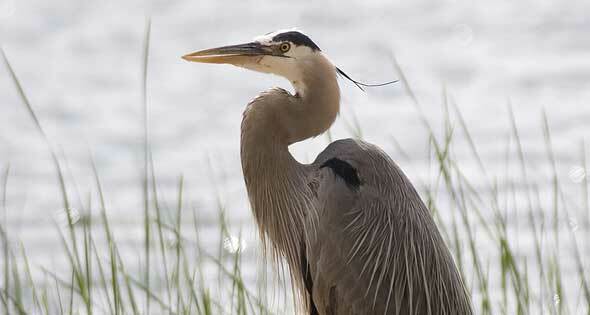 Wildlife viewing is the activity of watching and enjoying wildlife species in their natural environment. 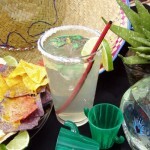 The activity may be as simple as observing a backyard bird feeder, or as adventurous as a moonlit hike through a canyon to watch nocturnal animals scurry about under the cover of dark. It is also called watchable wildlife. 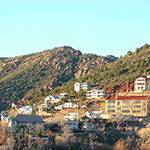 In the Verde Canyon the distinctive confluence of high desert and wetland is populated by a variety of wildlife and waterfowl which thrive among the indigenous foliage along the river. Observers can gain a better understanding of how wildlife acts in their natural environment, including how they forage for food, where they live and their interactions with other wildlife. Seeing wildlife can leave a viewer with a positive, unforgettable, and personal experience that they will recall for years to come. 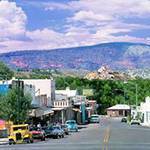 Wildlife viewing provided more than $825 million in 2006 to Arizona and its communities. It benefits wildlife through a heightened public awareness of the value of wildlife and habitat, and the need to conserve irreplaceable assets. The ribbons of green vegetation that grow along the banks of the Verde River provide critical habitat for the Canyon’s waterfowl, including the Great Blue Heron. There are over 74 different species of waterfowl, fish, frogs, insects and mammals that depend on the Verde River for survival. 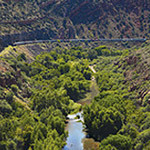 One of the highlights of the Verde Canyon Railroad journey is seeing bald eagles, America’s icons take flight, soaring against an indigo sky to the melody of the train’s wheels on the rails. 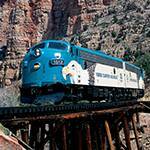 Through the years eagles have cohabited with the daily passing of the train, much to the delight of passengers and crews. 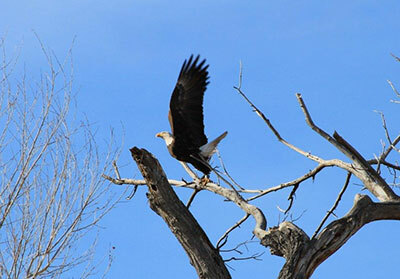 The largest confluence of eagles in the Verde Canyon occurs between December and March. 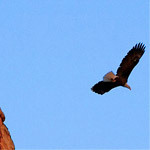 “The public interest in bald eagles is very gratifying,” said Jamey Driscoll, Arizona Game & Fish Bald Eagle Coordinator. 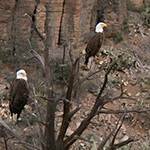 Driscoll is a very special member of the Verde Canyon family, supervising the restoration and preservation of eagle habitat in the Verde Valley area. 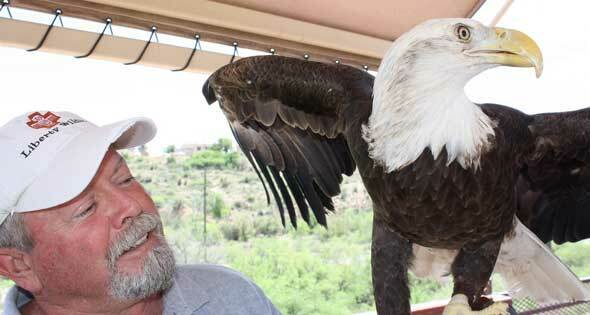 Working with Arizona Game & Fish since 1992 and involved with bald eagle research for 18 years, Driscoll oversees the Arizona Bald Eagle Nestwatch Program as well as the Banding and Identification Program. 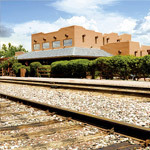 By partnering with Scottsdale’s Liberty Wildlife, Verde Canyon Railroad provides passengers with the opportunity to see wild raptors at the depot and aboard the train. 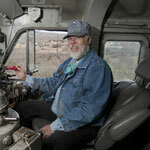 Liberty Wildlife has graciously added Verde Canyon Railroad Depot to their annual educational program. Grab your calendars and mark these dates because these are interactive opportunities you don’t want to miss. Sonora, a very sociable bald eagle, loves to visit with everyone at the train depot. With wings outstretched and eyes scanning the horizon, she mesmerizes all with her fondness for people.